Star Wars Rebels brings back Maul who wants to make sense of the knowledge he gained from the Holocrons back in “The Holocrons of Fate“. This can be a very frustrating show as it has keenly demonstrated that it is capable of greatness but it also spends a lot of time being mediocre so it’s difficult to establish a baseline for what a “typical” Star Wars Rebels episode looks like. It has been a while since the show has dealt with the Maul plot and there have been so few references to it that you might be forgiven for assuming it had been forgotten about. 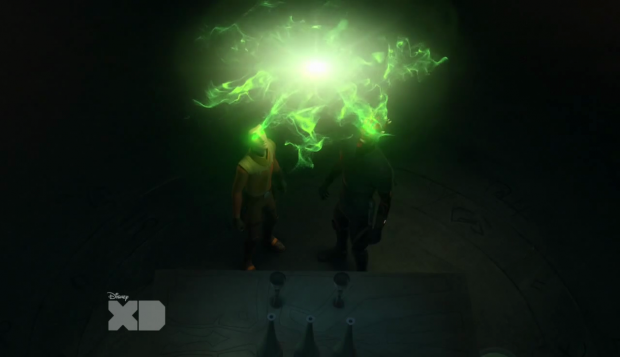 This episode tries to suggest that Ezra’s immature behaviour has been a result of his contact with the Holocrons as the experience seems to have affected him on some fundamental level. The problem with that is that his immature behaviour since that point doesn’t feel any different to his behaviour before that experience so it doesn’t come across that the experience had changed him in some way. One thing that comes across effectively is that Ezra is completely lost and desperate to gain acceptance from those around him. He’s very young and participating in a conflict that spans the entire galaxy is arguably not something that young people should be involved in, certainly not to his extent. Compounding these feelings are the struggles he is having with his Jedi training and the pull he feels towards the Dark Side of the Force. None of this has really come across in prior episodes but it is all thrown in for consideration in this episode and they are important points to consider when thinking about Ezra as a young man trying to find himself. Maul is similarly lost but in a different way. He once identified himself as a Sith and in Star Wars: The Clone Wars he was driven to achieve his own goals but now he completely lacks direction and assumed that the Holocrons would give that to him. Interestingly they did give him some kind of direction but since the connection was severed he only has the hint of that purpose. His goal in this episode is very singular as he only wants that purpose to be revealed to him. In Maul’s mind that will give him the answers he needs and something to work towards. He is still fixated on turning Ezra into his apprentice and that also interests me. Maul doesn’t really appear much so there hasn’t been any opportunity to develop that but it creates an interesting conflict with Kanan who also identifies as Ezra’s master. 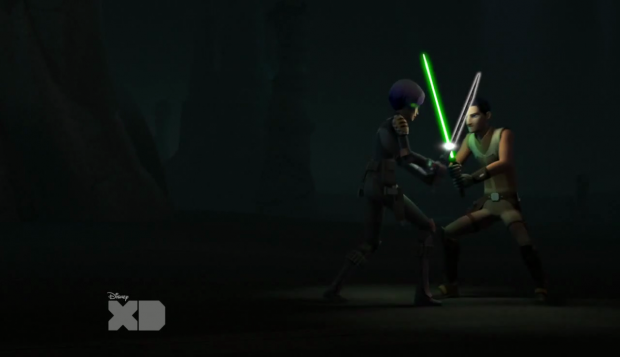 Ezra sees himself as Kanan’s apprentice but it has been made clear in the past that Kanan isn’t an effective teacher because he never finished his training so can’t pass on what he knows as well as he should. Maul did finish his training as far as we knows so it’s possible that Ezra will be drawn to the voice that has more experience in time. 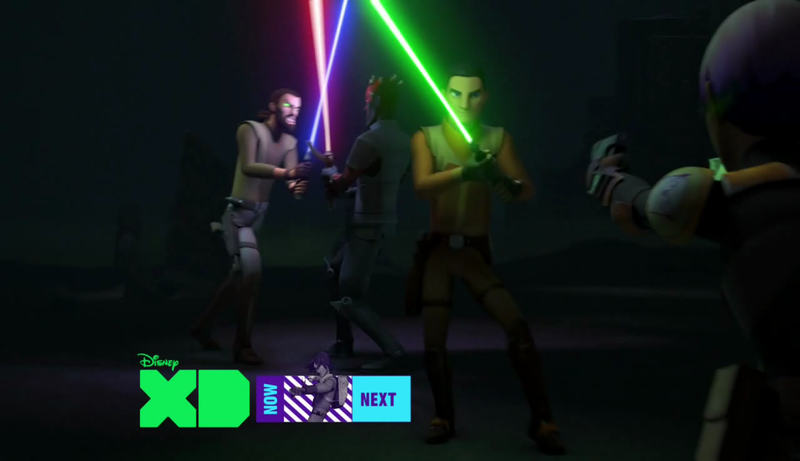 That time definitely won’t be now as Ezra doesn’t trust Maul but I don’t think it will take much to change that. Ezra only goes with him in this episode because he threatens to expose the Rebel base to the Empire so he basically has no choice in the matter but once he is alone with Maul it’s clear that some of what is said makes sense to him and Ezra’s thirst for knowledge could lead him down a darker path. I really like how this episode developed the mythology associated with the Nightsisters that were seen back in The Clone Wars and how effectively Maul was able to summarise the important information about them for those who didn’t know who they were. Having the Empire go after them once they came into existence makes a lot of sense since Palpatine will know how dangerous they are from his connection to Maul as his apprentice. It turns out that they are just as dangerous in death as they are able to come back as spirits that can possess people who come close enough to their altar. The whole thing is really creepy and handled really well when Sabine and Kanan are taken over by them. The prospect of losing control like that is a common thing in horror stories and the idea that Ezra has to fight those close to him is a terrifying prospect that is very well handled here. Maul’s lack of compassion for the situation also adds some weight to it as it shows how self serving Maul is compared to Ezra. The reveal that Maul is definitely looking for Obi Wan Kenobi is a very obvious one but not necessarily bad. Their conflict is an unresolved one so it makes sense that the writers would want to get some kind of closure on it. I can’t imagine it will go any other way that Obi Wan finally ending Maul once and for all but I don’t see how this can be handled in a way that ties naturally into Ezra and Kanan’s perspective on the situation. One possible way is for Obi Wan to see their master/student relationship and point out his own failings that led Anakin to the Dark Side. That could be a really interesting development as we never got to see Obi Wan reflect on how he failed as a teacher. I imagine we will find out how this plays out at the end of the season and for the moment I’m intrigued. It’s poetic that the conflict between Maul and Obi Wan might end on Tattooine since that is technically where it began. Maul fought Qui Gon on Tattooine but Ob Wan was there so there is a connection. One thing that definitely didn’t work here was the presence of Bendu. Kanan took Ezra there for advice but Bendu didn’t really do anything. 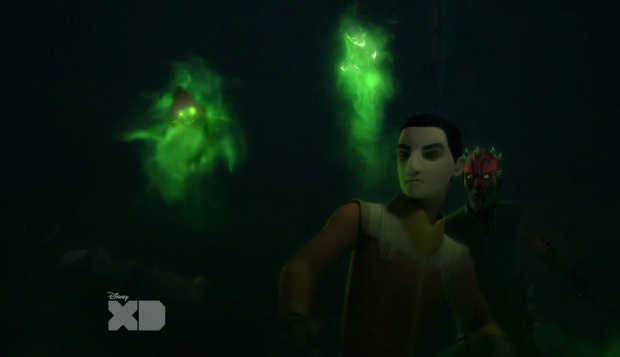 Maul showed up before he could which means that Bendu added almost nothing to the episode. His advice earlier in the season was interesting in a vaguely mystical sort of way but I get the feeling that the writers don’t quite know what to do with him now. A solid episode that capably develops the Maul plot in a way that is interesting. It doesn’t quite make up for the lack of development across the season but I like the interplay between Maul, Ezra and Kanan and look forward to seeing how Maul’s desire to settle things with Obi Wan plays into that. The inclusion of the spirits of the Nightsisters was fascinating and Maul’s dialogue manages to catch viewers unfamiliar with The Clone Wars up on the necessary details. Having Bendu in the episode didn’t really make much sense as he doesn’t add much but it’s a relatively minor niggle in an otherwise interesting episode.